Sally came to me three months before her best friend's wedding. She had been invited to be a bridesmaid, as had two other friends. One of the friends was very overweight, at least five stones or 70 pounds on the heavy side. Sally wanted to lose two stones or 28 pounds to look her best for the big day. She did not want to be the "fat bridesmaid" in her best friend's wedding photos. 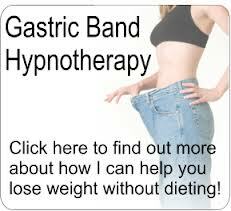 Both girls met me when I had an exhibition stand about Gastric Band Hypnosis, or Virtual Gastric Band. I explained that this is safe and relaxing. 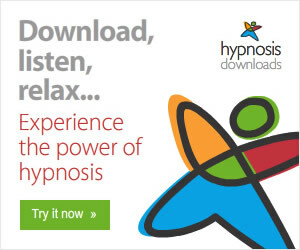 We pretend that the person is having an operation to fit a gastric band at the opening of their stomach to restrict the amount of food they will eat and the power of their subconscious mind makes the experience real, giving all the benefits without any of the pain, discomfort, time off work and large investment of money. Gastric band operations are quite common procedures now but there are always risks of undergoing general anaesthetic and ensuing stitches, scar tissue, even burst bands can pose problems. The operation's true cost is around £10,000 but available free on the NHS within the UK providing the patient qualifies by being sufficiently overweight with a high enough BMI. Sally was only two stones overweight so would not have qualified. The average cost in the USA is currently $25,000. 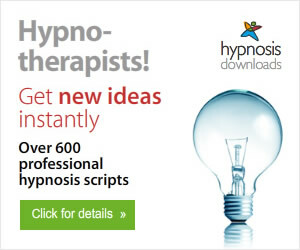 Gastric Band Hypnosis is completely safe, deeply relaxing and available in the comfort of your own home via the technology of hypnosis over Skype. Wherever you are in the world, I can help you. My current fee for the programme is £500, considerably cheaper than £10,000 or $25,000 for an operation which will cause discomfort and time off work at the very least. Sally's friend chose not to book this programme. She muttered something about the price as she fiddled with her BMW key fob. Sally did book the programme. From the first session, she noticed the difference in her eating patterns, as did her family and colleagues. She wasn't hungry and she found it easy to lose the weight - all two stones in time for the wedding. She wasn't the "fat bridesmaid" but we know who was.